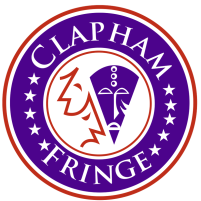 The continuation of Clapham Fringe Festival sees director, Laura Dorn stage a devised adaptation of Ibsen’s An Enemy of the People. Uncannily appearing amidst a week of climate change revelations, The Enemies surrounds the alarming discovery of a plastic factory employee and researcher, Laura (Laura Vivio), prior to a company presentation to the townspeople. The question of whether the factory should halt its plastic production brings a tense debate between Laura and her fellow employee and sister, El (Eleanor Neylon). Johnny (Jonathan Parr) comically attempts to act as a moderator between the sisters while managing the press. The play undoubtedly captures the essence of Ibsen as the audience find themselves privy to a conversation on entering. Slightly mismatched is the acting style of both El and Johnny, whose tendencies to overact, particularly in the opening sequence, give the impression of a non-naturalistic piece that perhaps ventures towards commedia dell’arte with stock characters. Nonetheless, the issues of business interest versus public health that are dealt with, demonstrate a strong grasp of the themes of Ibsen’s original work and a promising narrative to develop. The apparent lack of direction at the beginning of this piece makes for a slow start. Featuring extensive dialogue that is characteristic of Ibsen plays, the long monologues that owe to the dramatic style unfortunately seem under-rehearsed. False starts and stumbles in the delivery of lines from all of the cast prevent the audience from willingly suspending their disbelief as they watch the actors visibly attempt to memorise lines. A lack of attention to the set design in this piece contributes to its amateur feel. Ironically contrasting the highly detailed sets that Ibsen’s plays are renowned for, a prop, draped with black bin bags hangs from the wall. Some thought into how this could be integrated into the set before it finds use in the climax of the piece would prevent this from standing out unnecessarily. The scenery is equally baffling, consisting of a sofa and table dressed in plastic sheets. Perhaps a very literal interpretation of how an office in a plastic factory may look, this makes it hard to grasp where the action is taking place and blurs the boundary between what is public and private discussion. The Enemies offers little artistic innovation but provides plenty of food-for-thought. The impactful message that concludes the play draws attention to the well-researched facts and figures it aims to convey. Revisiting Ibsen’s 19th century ponderings on the monopoly of truth, exposing hypocrisy and the voice of the masses, The Enemies is an exciting play to be developed in today’s cultural climate. 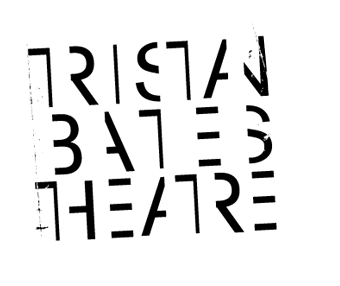 Performed at the Tristan Bates Theatre, Meiwes / Brandes is a new musical based on the grisly true story of Armin Meiwes and Bernd Brandes. The entire piece was co-written and co-directed by the cast of four graduates from RADA. The story follows Meiwes, played by Harriet Taylor, who was a German repair technician turned cannibal, who searched the internet in hopes to find a willing victim. Brandes, played by Scott Howland, was his eager prey, offering himself up to be consumed. Aurora Richardson and Laura Dorn take lead on the more musical elements of the performance, playing minor characters Frankie, Meiwes’ imaginary friend from childhood, and his mother. The music in this performance is wonderful and beautifully written. It strikes a perfect balance, the cheery pop music being undernoted by much darker, sinister lyrics. Mentions of words like ‘skin’ carry a much deeper meaning when put into the context of a cannibalistic relationship. Using only a piano and guitars, the cast make further use of the instruments as props, fully integrating the music within the narrative. The story begins a little murkily, only coming into its own in the last half of the performance. At first it is unclear who each of the characters are, what exactly it is they’re doing and why they’re singing sinister love songs, and without prior knowledge of the real story of Meiwes and Brandes, this might be a slightly confusing for the audience. The script, using mostly verbatim messages and communication between the lovers, is well written but perhaps need reordering in order to reach its full potential and achieve a clearer, more impactful opening. The cast make full use of the very small space, using a table and a few chairs to bring the story to life. The stage at times can feel a bit crowded, and the mother and imaginary friend characters sometimes feel slightly obsolete and unnecessary. It is also important to note that Meiwes and Brandes were both men, and by casting a woman as Meiwes, there is a distancing from the real, raw nature of their relationship. There is no apparent reason for Meiwes to be played by a woman and this is a somewhat confusing element of the play. Although each of the four actors played their characters wonderfully, the casting does seem to have just been a process of dishing out roles between a group of friends, rather than well thought out decisions based on the characters themselves and the type of actors which would have suited them. The play is extremely interesting, and the musical element alone is enough of a reason to go and see it, but it is in need of work to bring it up to its full potential.